Gumout ® is an American based company that manufactures performance additives for cars and other vehicles. Established in the first half of the 20th century, it has become a renowned company for providing the best performance additives in North America. These performance additives help improve the performance of fuel, lower emissions and clean the engine. 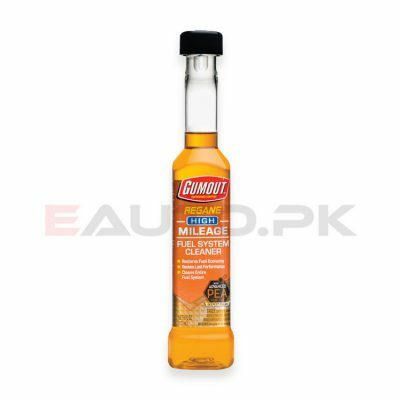 Gumout ® has a long and prestigious history of manufacturing some of the best lubricants for automobiles that help clean, protect and enhance the functionality of engines. EAUTO.pk allows you to shop online for the entire range of performance additives offered by Gumout ® to keep the fuel running smoothly in your fuel system and prevent it from deteriorating. When fuel sits undisturbed for too long in the engine, it begins to deteriorate and forms a sticky, gummy substance that hinders the proper performance of the engine. In order to get rid of this substance, performance additives are used. Gumout ® manufactures the best fuel additives that not only keep the fuel circulating smoothly in your engine but also help to clean the components from the inside, leading to better and smoother performance by the car. 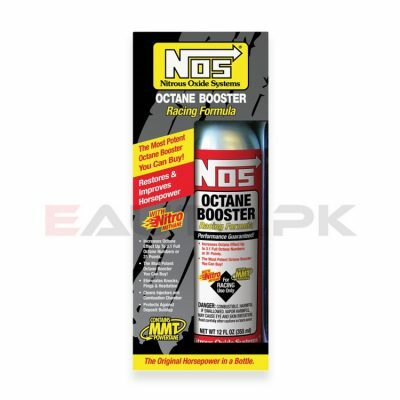 Fuel additives such as One-N-Done complete fuel system cleaner or All-in-one Fuel System Cleaner and Ethanol Treatment keep the fuel from accumulating and gumming in the system and condition the engine to perform to its maximum capacity. Gumout ® Maintenance Fluids and Aerosols such as the Regane ® Direct Injection Intake Valve and Port Cleaner provide exemplary cleaning of the engine components from the inside. Gumout® also provides all sorts of fluids such as Power Steering Fluid, DOT 3 Brake Fluid and Two-cycle Engine Oil that are keep the keep all components well lubricated and performing optimally. You can purchase all the Gumout ® performance additives for your car today from EAUTO, available at the best prices in Pakistan. Order now and avail our home delivery service!